This piece is inspired by a much reproduced icon, ‘Our Lady of Czestochowa’ from Poland. 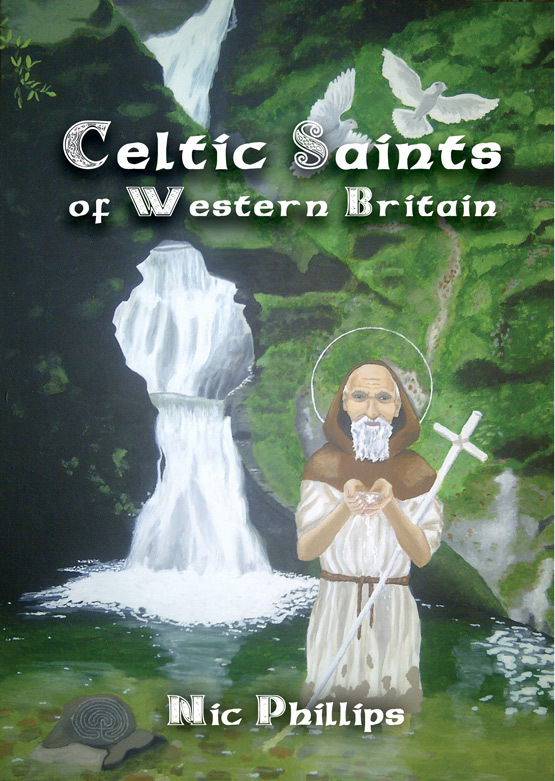 Legend has it the skin tones of the original painting were darkened from many years of candle soot, and the cheek of the original bears two slashes, reportedly when the church housing it was invaded by foreign soldiers. Subsequent reproductions copy these two features, many choosing to purposely depict the Virgin as of African descent. 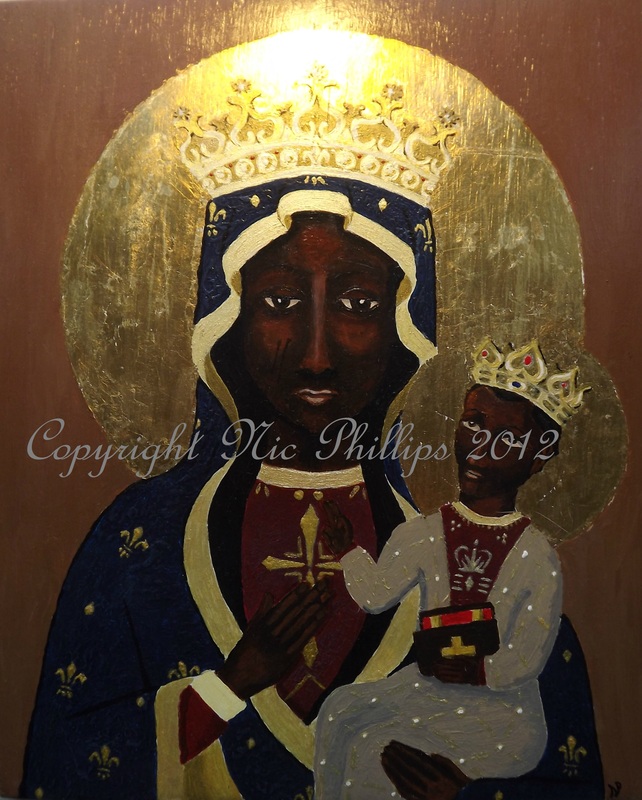 Such images are extremely popular in African and South American countries where Catholicism has spread to, and the Black Madonna is also of particular importance within the syncretic religions of Vodou and Santeria who simultaneously serve their traditional spirits alongside and through Catholic imagery. Acrylic and gold leaf on wood (8in x 10in).